Welcome to Powerhouse Pilates, the ultimate PB pilates studio for anyone who wants to get more fit, flexible and healthy. Our boutique style Pilates studio on Cass Street, formerly known as Club Pilates Pacific Beach, offers a safe and encouraging environment to work out in that’s both fun and challenging. There’s just nothing better than seeing our clients, men and women, of all ages, achieve their personal and fitness goals! That’s because our ultimate mission is to help you, the clients we LOVE so much, live the most rad life possible! We like to provide the most awesome Pilates classes in Pacific Beach and all its surrounding areas, such as Bird Rock, La Jolla, Mission Beach, Crown Point and Bay Park. People from all walks of life in these neighborhoods (and beyond!) come to our studio for several reasons. 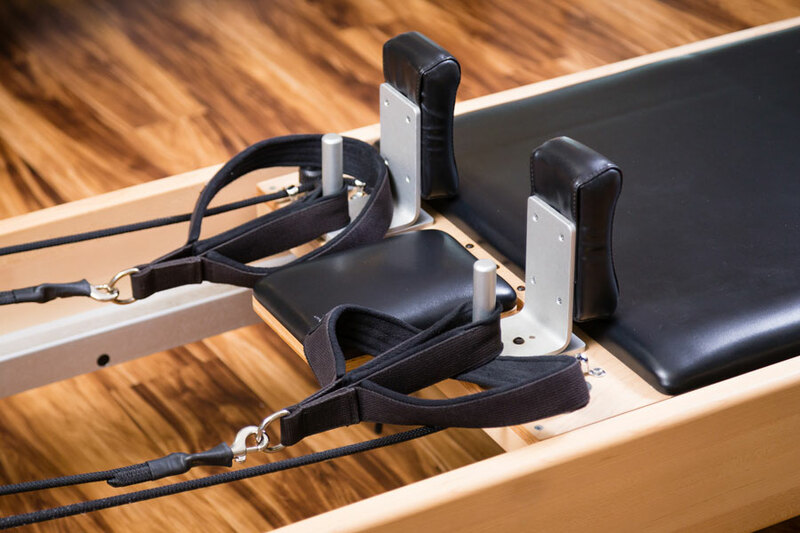 Whether it’s to lose weight, get stronger, center your mind, or simply try something new, Powerhouse Pilates will always give you a new challenge! Our expert trainers will work with you to bring out the best in you. Powerhouse Pilates is very proud of its staff; the instructors here are incredibly well trained. Each and every one has completed a 500 hour comprehensive Pilates training and keeps up-to-date with continuing education. 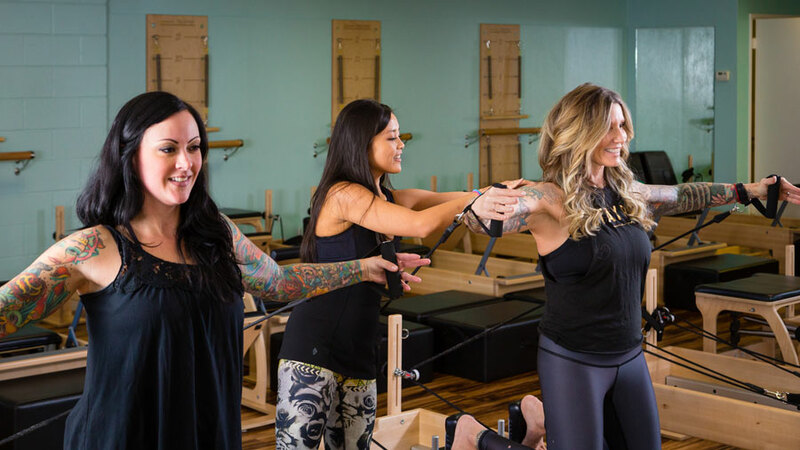 We love our instructors because, not only are they each super unique and fun, they offer hands-on guidance to make sure you get the best, most challenging pilates experience. A pilates studio is only as good as its instructors and equipment, right? That’s why we make sure to have the best, top of the line Balanced Body equipment. The right equipment helps make sure our clients and instructors have the best and most safe workout possible. Powerhouse Pilates is proud to offer affordable pilates class pricing. The goal? To make sure cost isn’t a barrier to this amazing fitness experience in Pacific Beach. We price fairly so our classes can benefit people from many walks of life. One of our favorite aspects of this studio is that anyone can do our pilates classes, from professional athletes to anyone just starting to exercise. With our wide range of levels and variety of classes, you can be sure to find something that’ll suit your style and level. If you haven’t had much experience in exercise classes or pilates, that’s just one more reason to try out our studio. Because we offer small classes with personal attention, you can be sure you’re learning the right techniques and methods, growing in your pilates skills far faster than larger classes where you’re just an individual in a crowd. You are not simply a member number to us, you’re a valued guest! Enjoy other fun businesses around our wonderful neighborhood of North Pacific Beach. You can hit pilates class on Cass Street, then walk down the road to enjoy a delicious (and, in many cases, healthy!) meal at the Turquoise Cafe or a great smoothie or coffee from Java Earth. Oh, and there’s that one reason we all love living in San Diego…the beach! Powerhouse Pilates is only a few blocks from the beach. Walking on the sand of Pacific Beach can be the perfect wind down from your rejuvenating pilates class!